The Yellowstone River is seen plunging down the Lower Falls. 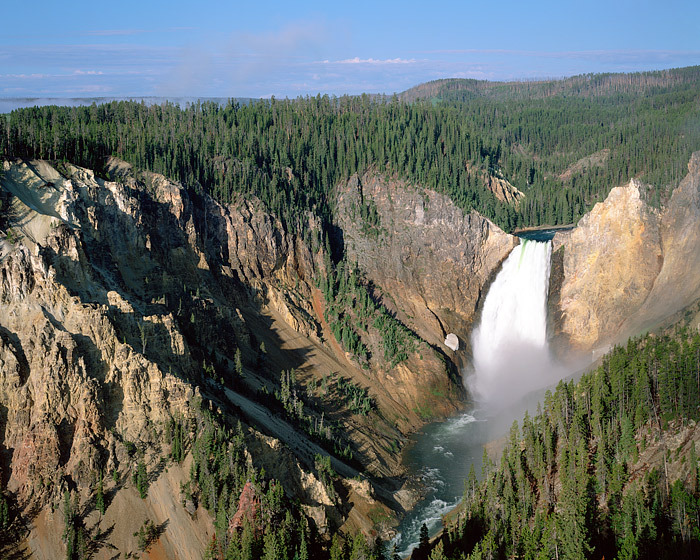 The Grand Canyon of the Yellowstone is one of Yellowstone National Park as well as Wyoming's most impressive and popular view points. Photo © copyright by Thomas Mangan.